Perhaps 36 hours doesn’t seem like enough time to truly experience fall in the Blue Ridge Mountains, right? Think again! With 8,000-acres of ever-changing autumn hues and harvest season celebrations, Biltmore guests can enjoy Western North Carolina at its best. 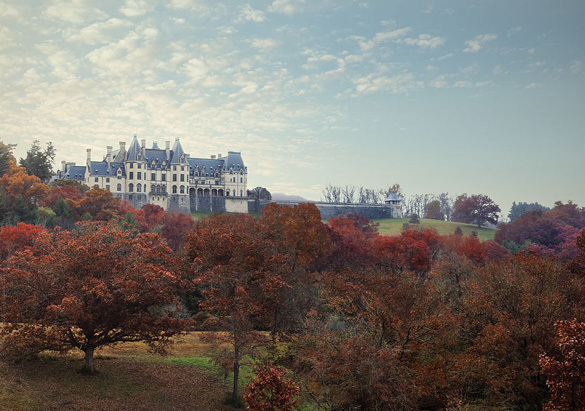 Of course, a visit to Biltmore House is at the very top of our list, but what should you do after spending a few hours touring America’s largest home? 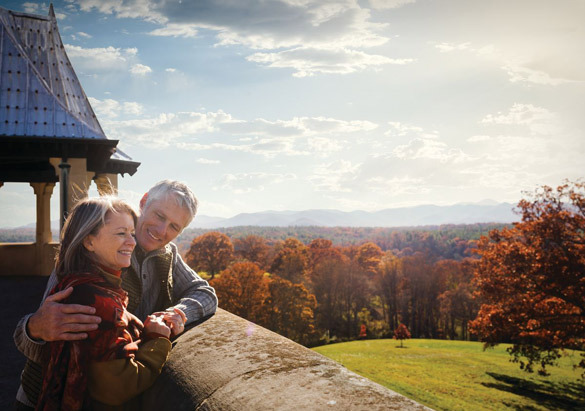 Our autumn itinerary below offers suggestions for how to make the most of a day and a half at Biltmore. Take your time on the four-acre terrace next to Biltmore House and enjoy a sweeping scene of the surrounding mountains that truly seem to go on forever. Fun fact: George Vanderbilt once owned all of the land he could see from this terrace—even Mt. Pisgah more than 30 miles away! 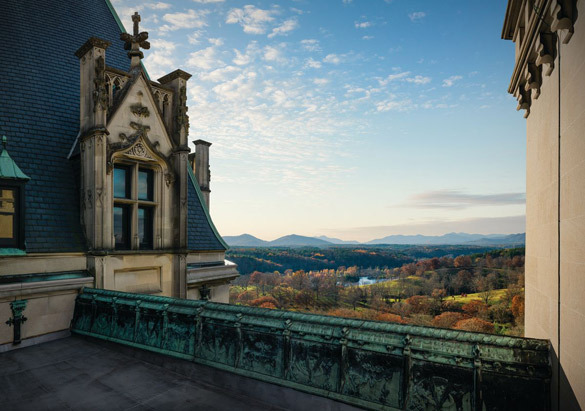 Build your architectural knowledge of Biltmore House while taking in picture-perfect long-range fall views from its rooftop and balconies on this behind-the-scenes guided tour. 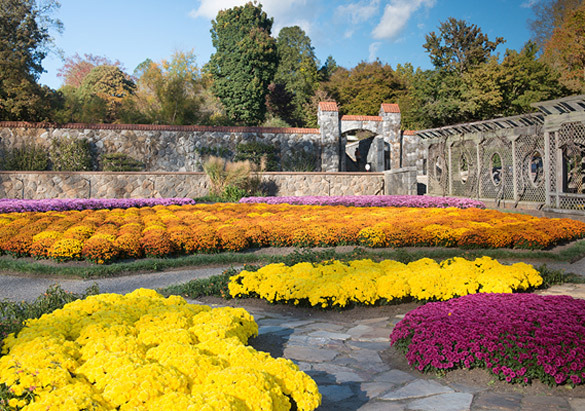 Next, head to the Walled Garden, transformed by a carpet of vivid chrysanthemums. This year’s color show features brilliant blooms in red, purple, orange, and yellow. Stroll the Azalea Garden trail to discover fall color radiating across Biltmore’s Bass Pond. 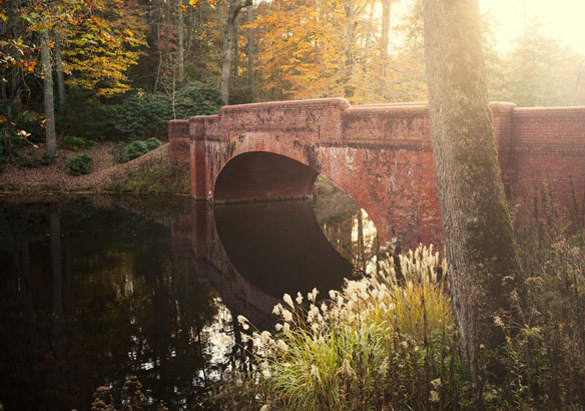 Fun fact: The Bass Pond bridge was featured in the film Last of the Mohicans. 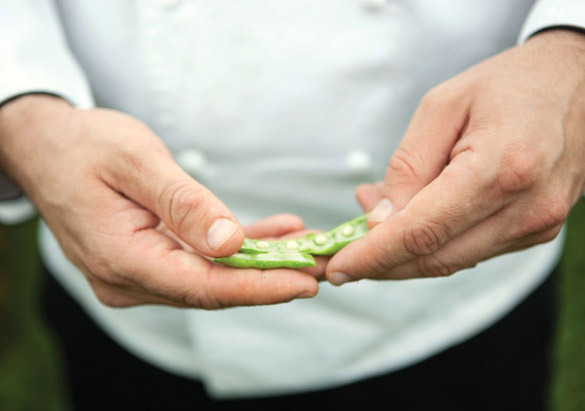 Relish harvest flavors as you mingle with estate chefs, local purveyors, and artisans who share their expertise in crafting distinctive fare from fresh estate-raised and local ingredients. 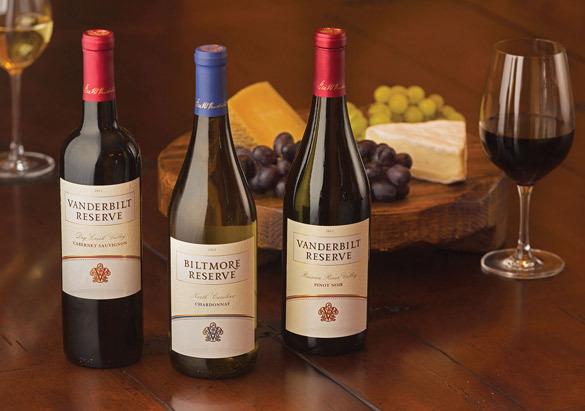 End the day with a social hour hosted by our most knowledgeable wine aficionados and savor delicious pairings of Biltmore wines and a variety of artisan cheeses. 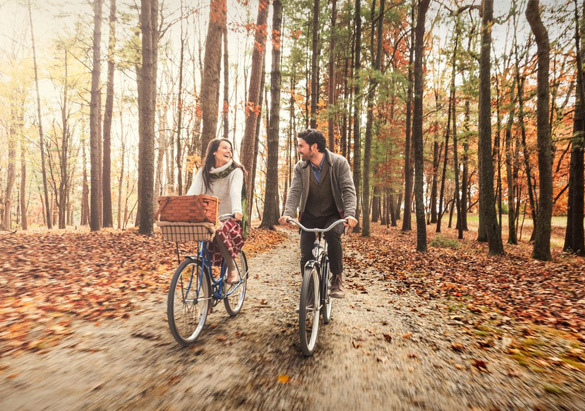 Wake up the next morning with a bike ride across the estate and discover our woodland trails enveloped in fall color. Bring your own bike or rent one from us! 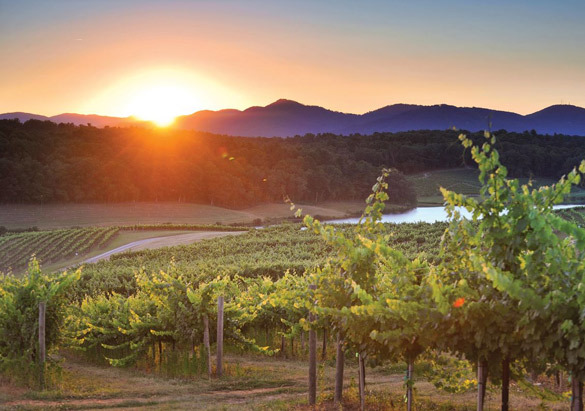 Travel by Segway across the French Broad River to the estate’s west side and enjoy beautiful views of our pastures and vineyard while learning about Biltmore’s agricultural program. So you see, a day and a half is plenty of time to experience our most colorful time of the year.